Texas’ largest military bases could lose tens of millions of dollars already earmarked for future projects if President Donald Trump’s emergency declaration to build a border barrier withstands legal challenges and the administration diverts money from the military for wall construction. The bases include U.S. Army and Air Force installations at Joint Base San Antonio, Army installations at Fort Bliss in El Paso and Fort Hood in Killeen, and the Naval Reserve center in Galveston, according to the office of U.S. Rep Henry Cuellar, D-Laredo. 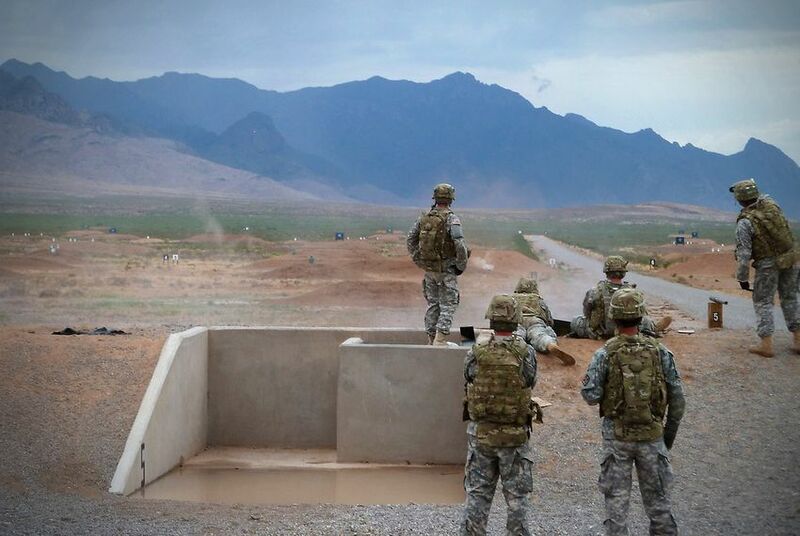 In all, about $265 million for construction and other projects on military bases in Texas could be diverted to build walls on the southern border, according to a list of potential projects the Department of Defense released to lawmakers Monday. The president signed his emergency declaration after a five-week government shutdown spurred when Congress refused to approve $5.7 billion that Trump requested for border barriers. The president issued a national emergency declaration last month that would divert billions in defense spending to construct the barriers. The U.S. House and Senate voted recently to oppose the declaration, but the president vetoed the measure. “After failing to convince the Government of Mexico or U.S. Congress to pay for his ineffective wall, the President is trying to bypass constitutional authority and undermine the training, readiness, and quality of life of our military and their families in Texas,” Cuellar said in a written statement. Joint Base San Antonio could lose about $10 million for an air traffic control tower, $10 million for an aerospace operations facility, $38 million for a military training classroom and dining hall, and more than $13 million for a vehicle maintenance shop. Fort Bliss could lose $20 million for defense access roads, more than $8 million for a blood processing center and $24 million for supply support. At least seven lawsuits have been filed to halt any wall construction under the emergency declaration, including litigation filed by El Paso County and the Laredo-based Rio Grande International Study Center. “It’s clear that @realDonaldTrump’s political stunt only hurts our troops and endangers our national security. This must end!” U.S. Rep. Veronica Escobar, D- El Paso, tweeted Monday after learning about the potential cuts. It’s not clear which projects will be chosen or when that decision will be made. The Department of Defense noted that construction projects already awarded and other projects awarded during the current fiscal year, which ends Sept. 30, won’t be affected. If money for a border wall is included in the next federal budget, none of the projects listed will be affected, the fact sheet states. The Department of Homeland Security didn’t immediately respond to a request for comment on Cuellar’s statements. U.S. Rep. Lloyd Doggett, D-Austin, wrote to the president Tuesday and asked for assurance that the San Antonio military installation would not be affected. The letter was also signed by Cuellar and U.S. Reps. Joaquin Castro, D-San Antonio, and Will Hurd, R-Helotes.